on trains, planes, buses and motorcycles. Following the sold-out Alices Restaurant 50th Anniversary Tour, Arlo Guthrie hits the road once again. The Running Down The Road Tour promises to be a flashback inducing, mind-expanding adventure, presenting the best of Guthries material from 1969 forward. 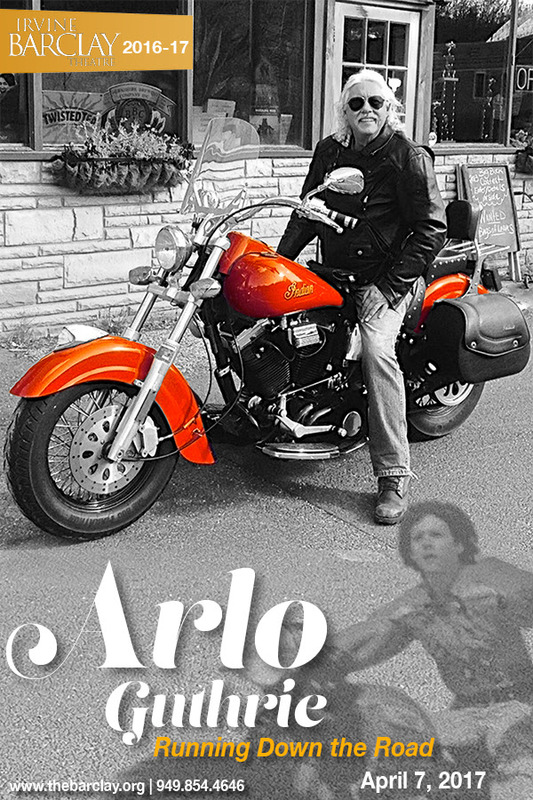 With Running Down The Road, Arlo celebrates his life in motion. Join Arlo as he takes audiences on this latest musical road trip. Hop on his bus and take a ride through the continuing American revolution, flying past the 60s counter-culture and running down the road to a more perfect union. For tickets, check out thebarclay.org.